The Fourth of July is a great day. It’s our country’s birthday, and it’s a reminder of the many things that make America a wonderful place to live. Taking time to look back on our country’s history can be inspiring. It hasn’t always been smooth sailing, but we’ve learned from our mistakes. And we are always trying to improve as a country and as individuals. We hope you are able to enjoy the holiday with your family and friends. Just thinking about grilling out and watching fireworks can give you a reason to smile. Speaking of which, we want you to have the best smile possible. Your smile should shine like the fireworks you’ll be watching. Professional teeth whitening can bring that sparkle back to your teeth. To see this revolutionary change right before your eyes, call 256-801-0002 today. Make an appointment at the office of Jennifer Perkins, DDS, in Huntsville, AL. When Britain decided to tax tea to get more money from the colonies, the soon-to-be Americans took matters into their own hands. Today, iced tea is one of the many things that add to the stains on our teeth. You can fight back against its effects in your own personal battle for a better smile. And the best way to do that is with professional whitening products — which work faster and better than the stuff you can buy in stores. With professional whitening, your teeth could be up to 16 shades brighter! You will have two great options if you come to our office seeking this service. For the fastest results, you will want to try out in-office whitening treatment. In a single visit to our office, you could see a big difference in the brightness of your smile. If you are more of a do-it-yourself kind of person, we also offer a great take-home product. We’ll make a customized set of whitening trays for your teeth. Then, we’ll give you whitening gel to take home and use as instructed. This allows you to whiten your smile on your own schedule. This takes a few weeks compared to a few hours, but you’ll see similar results when all is said and done. The United States would not be what we are today if our ancestors had settled for how things were. Instead, they took action to make the changes they wanted to see. It’s up to you to take control over your life, including your smile. This isn’t just talk. We have met many patients whose stained teeth left them feeling embarrassed to speak in front of other people or ashamed to smile. That can become an obstacle to getting a job, making new friends, or developing a romantic relationship. We want you to live life to the fullest. If having yellow teeth is hold you back, then it’s time to throw off your self-imposed limitations. It’s time to reclaim your smile, so you can feel free to be yourself. Call 256-801-0002 to contact us online now! 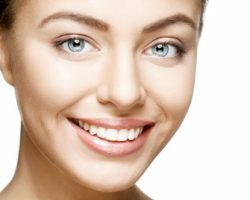 Find out what whitening or one of Dr. Perkins’ other cosmetic services could do for you and your smile.